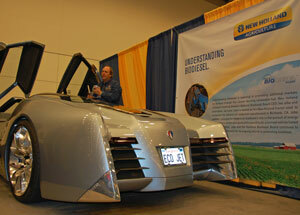 This fast and fancy concept car belongs to Tonight show host Jay Leno and it runs on 100 percent biodiesel. The car has been test driven and hypothetically can go up to 220 miles per hour. “Because its a street legal car we do have to stay within the law,” said Steve.